I am an art therapist. I believe that making art draws out what we know deeply about ourselves. If you are experiencing a life threatening illness. If you are putting sensitive information in your email, like your social security number. If you need a prescription. If you write long email messages. If you are writing and writing because you need more support in between sessions than perhaps it would serve you better to add another appointment. If you are using email to be manipulative, disrespectful, or hurtful. If you are having these feelings it is best to work through them face to face. If you are canceling an appointment within 24 hours of your appointed time. If you need a quick response, and you do not know when the therapist will read their email. Do not send chain letters, jokes, or forward messages that are irrelevant to your treatment to your therapist or doctor. 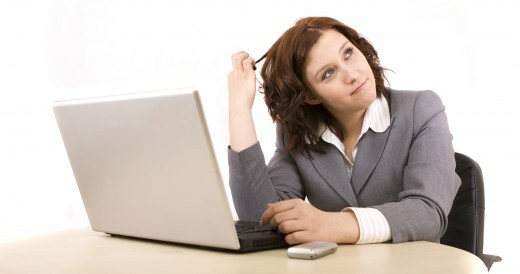 Many people have come to depend on email as a primary form of correspondence. But what about emailing your therapist or doctor? Can a quick email be better than having to call, wait for automatic recorded prompts, be put on hold, and then finally relay your message? What are the boundaries to consider when emailing your doctor or therapist? Before emailing a therapist or doctor, there are considerations a client must be mindful of. Be prepared for a wide range of responses from therapists or doctors regarding emailing. Here are some different responses you might hear. No, I do accept email as a form of communication. I do accept email's from clients, but I do not email back. I will respond verbally at our next appointed time. I do accept email's from clients, I usually write a brief message back. You may email (X) amount of times in-between appointments. I do not read or respond to emails longer than 250 words. I charge a quarter hour appointment fee for 1 email correspondence. Yes, but only for administrative purposes like schedule changes. Yes, I accept email as a form of communication; email as much as you want. Most people rely on social networking, emailing, instant messaging, and texts throughout their day as a form of communication with their friends and family. However, participating in a therapeutic relationship with a doctor or therapist requires unique emailing expectations and boundaries because these relationships are different from friends and family members. Have you ever emailed your therapist or doctor? When conversing through email it is easy to misinterpret the meaning of the written word since you have to decipher the tone. It is not the same as talking on the phone. The therapist's or doctor's brevity in the email responses may be misinterpret as they do not care. However, their response may very well be their style and does not reflect the quality of your relationship. Confidentiality and privacy are upheld in email correspondence the same way they apply to any other verbal or written exchanges between therapists and doctors. However, clients need to be aware email communication can compromise confidentiality. Emails are vulnerable to unauthorized access due to the fact servers have unlimited and direct access to all emails that go through them. The computer can be accessed by other people. Your therapist or doctor may share their computer with another family member, or you may share your computer with another family member. This leaves emails vulnerable to other's reading. Emails can mistakenly be sent to the wrong address. Address the email by the doctors or therapist's name. In the subject line and a brief description what the email is about, example- schedule change, follow-up. Keep the email brief and to the point. When the therapist or doctor responds to your email send a quick brief message acknowledging you read the email. Do not try to start up an ongoing email exchange unless there are legitimate reasons. Can create an unhealthy dependency on your therapist. Can feed into obsessive thinking. 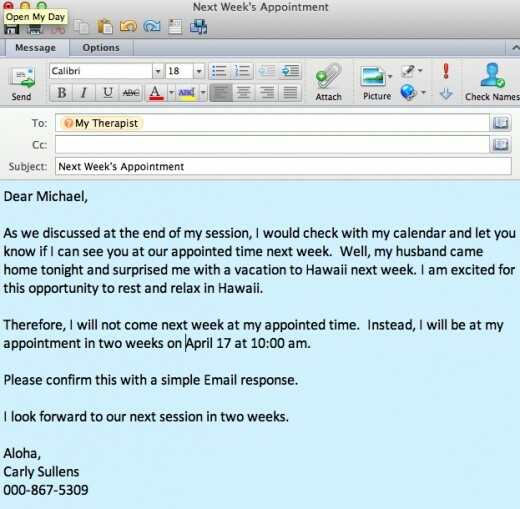 The therapist may not engage in email correspondence and the client can easily misinterpret this as a rejection. Waiting around on a therapist to email you back if the rules are not clear can be re-traumatizing. Emails might be included in your medical record. Sending a web address link, blog address, etc. Any follow up that was discussed in a previous appointment and email correspondence parameters have already been discussed and understood. A non-verbal client, or a client who is afraid to leave their house and needs eservices as a form of therapy. We continue to rely more and more on social networking, emails, instant messaging, and text correspondence to communicate with others. Our exchanges with our therapists and doctors most likely will incorporate these types of correspondence, as well. 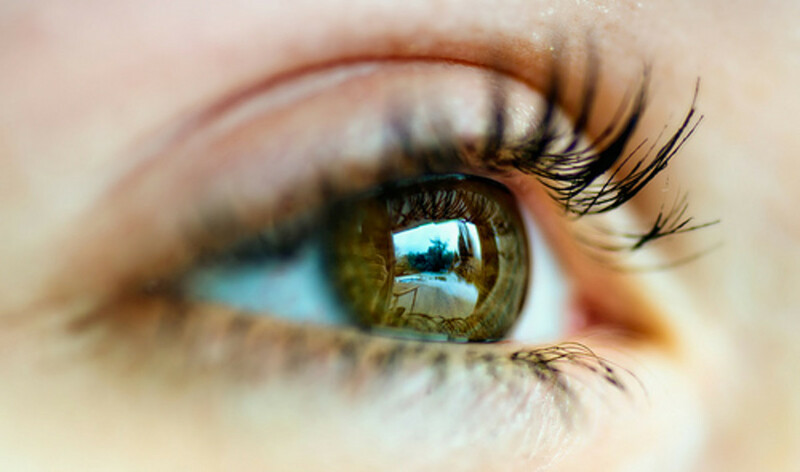 Time, ethics, confidentiality, and boundaries will continue to be taken into consideration as we progress with our technology and therapeutic relationships. If you find you have a strong need to communicate through email with your doctor or therapist, then it is advised you find a doctor or therapist who allows for this type of correspondence. Remember, each professional will have his or her own way of incorporating email into his or her practice. 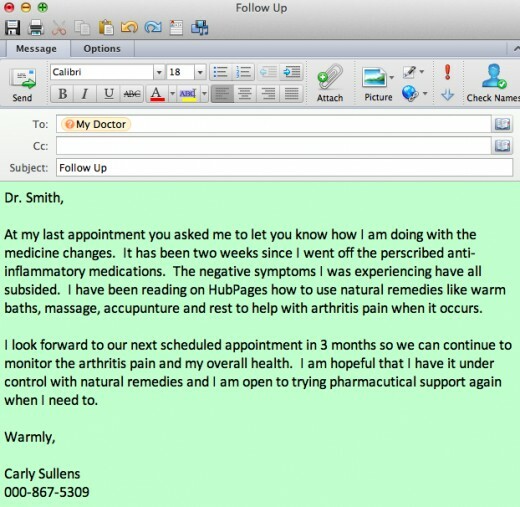 Emailing your doctor is a wonderful way to schedule appointments and correspond. What a great post. I appreciate your sharing. Just have to watch the confidentiality and the HIPPA law. Voted up! I hadn't thought of emailing my doctor office. I wonder what their policy is. Thanks for the info. Thank you Melchi, I appreciate your visit and insightful comment. This is interesting! It's much easier to send a quick email to a Doctor these days, but you're right. The response time or their policy regarding emails may be very different to what we expect. I think it can also border on becoming unprofessional if a client isn't careful...or even the Doctor. Useful hub, thanks! Voted up and sharing.